Holiday Inn Express & Suites Longview South I-20 , Hotels in Longview TX. Welcome to Holiday Inn Express & Suites Longview South I-20! 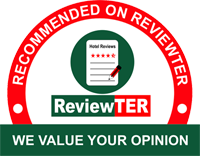 Among hotels in Longview TX, we’re the best in quality and overall experience. Our new hotel is just off I-20 and right where you want to be for exploring East Texas. We’re just 5 miles from East Texas Airport, 6 miles from downtown Longview and less than 3 miles from popular Letourneau University. When you make us your selection of hotels on I-20 in East Texas, your day begins with a free Express Start breakfast. Other well-liked amenities include free wifi, our 24-hour workout room with heating and air conditioning and our great outdoor pool. Belcher Center, Eastman Chemical, Joy Global and Christus Good Shepard Hospital are nearby when you make Holiday Inn Express your home away from home in the area. We’re also near Regal Longview Stadium 14. Other attractions in the area to explore include sprawling Lear Park, indoor fun at Kid’s Stadium and the Longview Museum of Fine Arts. Gregg County Historical Museum is a great way to get to know the area too. We look forward to welcoming you to Holiday Inn Express & Suites Longview South I-20, where we’re hospitality professionals who want to do a great job for you. Stay with us for a single night or several on business or pleasure – and you’ll have a great stay. Looking for a hotel in Longview, Texas for business travel? You’re doing the right thing if you’re considering Holiday Inn Express & Suites Longview South I-20. We strive to be the best of the hotels near Eastman Chemical Longview TX and the motels near East Texas Regional Airport TX for business travelers and offer a range of amenities with your needs in mind. Plus, we offer a pleasant, quiet experience and extremely comfortable beds, so you’re sure to be able to get your work done, get some rest and wake up refreshed and ready to face the business of the day. There may be other local places that can provide a good experience, but none match us. When you stay with us, you’ll feel at home and at ease as you and your family enjoy everything East Texas has to offer. When you make us your choice of hotels near Letourneau University Longview TX, for example, you’re opting for a great place to stay with many amenities. And you’re also selecting convenience. We’re the best of the hotels near Longview Museum of Fine Arts and right when you need a hotel near the Great Texas Balloon Race. We want to be your home away from home in region, so we offer affordable, comfortable rooms designed with your family in mind. Why not book a room with us now? Looking for luxury hotels in Longview TX that provide affordable comfort? We offer hotel suites in Longview TX that fit the bill very nicely. Our hotel is the best of your options in the area because we focus on excellence, including providing a modern, new experience at our new facility. We also focus on providing amenities that enhance any kind of stay, including exceptionally comfortable beds and spacious rooms where you and your traveling companions can spread out and enjoy your in-room time. Why not book with us now for a great stay? We’ll be here when you need downtown Longview, Texas hotels and more. May we serve you while you’re here? For a safe stay in a vibrant yet peaceful area, we’re the right option in hotels Longview, Texas has to offer. No matter your reason for coming to the area, you’ll find comfortable, affordable and safe accommodations with us. While other hotels in Longview TX may focus on other things, nothing means more to us than providing accommodations where guests can feel at ease and settle in for a good night’s sleep and great mornings. Select our safe and peaceful property when you want hotels near Christus Good Shepherd Hospital, hotels on I-20 in East Texas and more. You’ll be glad you did. We’ll be here for you when you need us with an unforgettably good experience. Holiday Inn Express & Suites Longview South I-20 Conference Center features with over 700 square feet of unique and flexible meeting space allowing us to comfortably and professionally accommodate your events. Our location in Longview makes it a breeze to see this beautiful area's top attractions. Catch a show at Regal Longview Stadium 14, pay a visit to one of our beautiful parks or browse one of our many museums. This website is owned and maintained by Holiday Inn Express & Suites Longview South I-20 a licensed user of certain proprietary trademarks and service marks of IHG.